to subscribe to the AdNews magazine or read the iPad edition here. 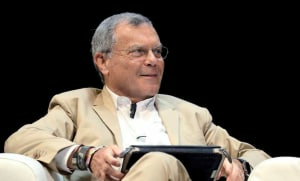 The merger of WPP and STW in Australia creates an $850 million business. It dwarfs the nearest competition by a long way and CEO of the newly formed WPP AUNZ, Michael Connaghan, expects it to punch through $1 billion before too long. With more than 90 agencies in the combined business, consolidation is inevitable. Connaghan said as much, speaking to AdNews just hours after the merger was passed by shareholders. “If it made sense for one of the local brands to become part of a global unit to strengthen that, then yes. We’re hardly going to be retiring any of the global brands anytime soon, but we will be trying to make them stronger,” he said. While there are no targets outlined publicly yet the deal will mean that some of WPP’s iconic global brands will be accelerated – Grey and VML are likely focus points, which could in turn mean that some Australian brands from the STW family will be undermined. “We do still believe in fewer, bigger, better and there are still some things underway on the old STW side that will happen and that will become apparent, and there’s definitely going to be opportunities with some of the WPP and local STW business getting closer together. There’s no doubt about that,” Connaghan said. WPP is a force to be reckoned with globally – operating in 112 countries, with 180,000 staff in 3000 offices, billings topping £47bn ($87.2bn), revenue of £2.2bn ($4.08bn) and market capitalisation of £20.5bn ($38.06bn) – concern about the dilution of the ‘Australian’ business by WPP’s global dominance runs through to the organisation as a whole. Clemenger, Whybin\TBWA, these businesses are successful because they have a balance of local and international. What happens to the agencies that don’t become fully owned by WPP AUNZ is less clear cut. Bohemia and Ikon for instance, which Connaghan describes as “the long tail” will remain independent. How much they tap into and draw on the global resources on offer is down to their management, with a few options open to them. With such a broad portfolio of assets spanning six core divisions, the logistics of actually getting disparate agencies to work more closely together is very different from talking about it. To encourage the WPP philosophy of “horizontality,” which basically means agencies across the portfolio sharing assets and working more closely together for the greater good of clients and the group, new remuneration structures will come into play in 2017 so that agencies will have a financial incentive to work together. Connaghan believes the ‘campus mentality” of having agencies physically co-located will help entrench “horizontal” behaviours. WPP has 14 agencies in its Kent Street campus and 23 at its St Leonards’ campus (both in Sydney), WPP in Brisbane has the same campus set-up and JWT has built its own campus in Pyrmont, Sydney. “The first thing I believe in is location, that’s why we run this campus strategy and it works,” Connaghan said. “We want to make sure the WPP companies that are coming into the group become much better connected. That’s going to mean mixing and matching assets and getting people to know each other. The merger has been on the cards since WPP and STW first began working alongside each other in 1998, and many have speculated on the timing of the deal. Prior to the merger, STW group embarked on a strategic review to counter poor performance in the previous two years. In the first half of 2015 profit plummeted 22.5%. Things had improved at the full year results reported in February, buoyed by a stronger second half, but profit was still down 13.9%. Connaghan is bullish on the commercial success of the venture and refutes reports that STW has been having quite such a hard time, as has been reported. “We’ve been successful over a long period of time and despite what might be written about how tough it’s been, last year we still made $40m after tax,” he said. The deal, which was approved by the ASX on 8 April, sees Sir Martin Sorrell’s WPP take a 61.5% share in the new company, which will be called WPP AUNZ when approved by shareholders in May. Others have questioned the financials of the deal – a merger where no dollars changed hands, rather than a takeover bid by WPP. “That is just a question of someone who doesn’t really understand what the market is – STW has bought the assets of WPP, so you could give this answer – we have bought the global iconic assets of WPP for a 30% discount to the then STW share price,” Connaghan said. “We’re trading at seven or eight times, WPP is trading at 14 or 15 times, so we bought them at a discount to our own trading multiple. That sounds like a pretty amazing deal to me. And what of his commitment to the new entity? Connaghan is adamant he’s there to stay saying he’ll lead the company “as long as Sir Martin will have me”. “This deal could have been done in a few different ways, but it’s been done in a way that locks the STW management team and style of management in,” he revealed. The merger brings together two entities of roughly the same size where each have strength in different areas. WPP’s is in media, through GroupM and research and insights, with assets such as Kantar. STW’s strengths sit in the creative and digital agency space. An expanded executive committee that formed as part of the strategic review will be tasked with operationally bringing the two halves together. The newly formed entity will be broadly structured into six divisions: media; research and insights; PR and government; agencies; shopper and production; and digital and specialist units. This will comprise companies with unique foci, such as multicultural agency Etcom and healthcare agencies like Ogilvy CommonHealth. This article first appeared in AdNews in-print. Click here to subscribe to the AdNews magazine or read the iPad edition here.